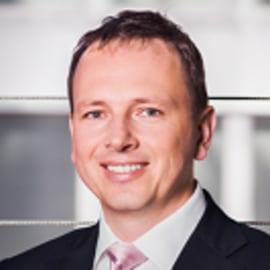 Jiri joined Alitalia in February 2016 and within Strategy department had been overseeing re-positioning of Alliances and expanding company virtual network globally through new deeper partnerships and joint ventures. Parallel to Alliances area he initiated, designed and implemented Alitalia’s “Smart Revenue” strategy, by re-shaping ancillary products into modern merchandising style, and by using retailing approach, bringing airline closer to dynamic offerings and personalization as inevitable next step of evolution. Recently he added to his portfolio also International Affairs area. Prior joining Alitalia within his 18 years in aviation industry, he was holding executive management roles such as Executive Director Sales and Distribution in LOT – Polish Airlines, CCO and Board Member of Czech Airlines and several managerial positions in Malev, where he started his aviation journey. Representing those airlines, he was playing an active roles in each of the three major alliances – oneworld, SkyTeam and Star Alliance, and it gave him a broad look at the global challenges, that are just right ahead of us. “Value evolution” is his personal goal and motto, as he believes that set up of an airline product distribution is from the “stone age” and need to significantly evolve. Jiri is strong believer and follower of new technologies entering aviation industry.